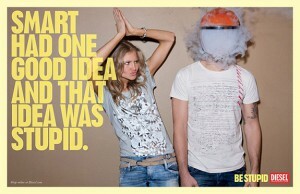 “Be Smart” – that is what our parents and teachers told us since we were so young. 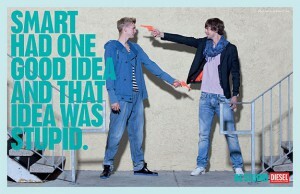 While Diesel, an international jeans brand, takes “Be Stupid” as its philosophy. Isn’t it is strange? 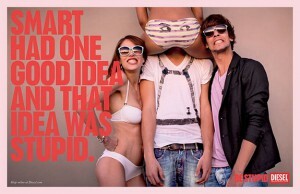 For this post we’re showcasing some ads of be stupid advertising campaign by Diesel. 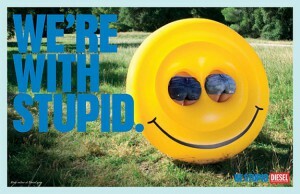 The following is the campaign, enjoy it and you will find what the real “Stupid” is. Smart Says No. Stupid Says Yes. 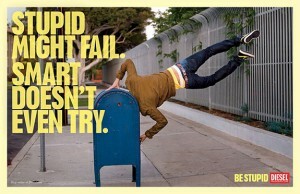 Stupid Is Trial And Error. 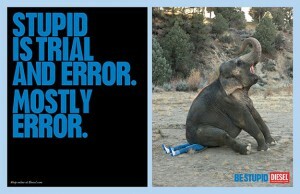 Mostly Error. 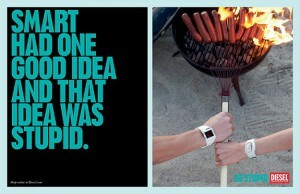 Smart Had One Good Idea And That Idea Was Stupid. 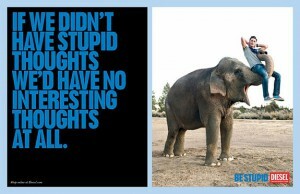 If We Didn’t Have Stupid Thoughts We’d Have No Interesting Thoughts At All. 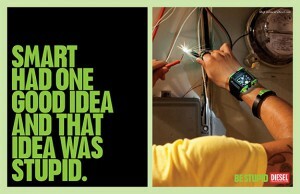 Smart Sees What There Is. Stupid Sees What There Could Be. 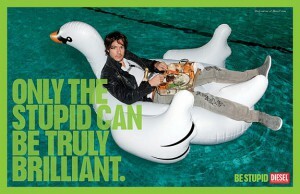 Only The Stupid Can Be Truly Brilliant. Stupid Might Fail. Smart Doesn’t Even Try. Smart May Have the Brains, But stupid has The Balls. 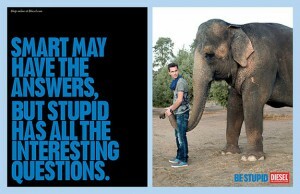 Smart May Have The Answers, But Stupid Has All The Interesting Questions. 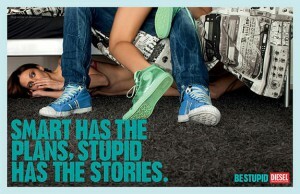 Smart Has The Plans, Stupid Has The Stories. Smart Listens To The Head. 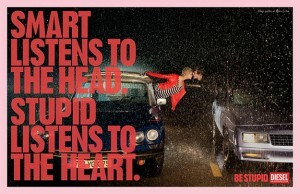 Stupid Listens To The Heart.